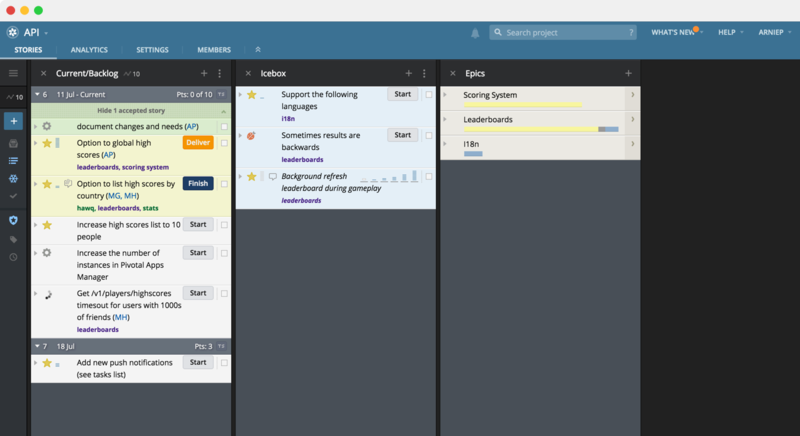 A single view of all your priorities keeps your team on the same page so you can smartly manage projects. Every project starts with a story, no matter what you're building. Tracker helps your team better develop and keep track of them while they progress from start to delivered. A story is a small, actionable bit of work that's either a placeholder for a future conversation or a reflection of one that already happened. Outlining what a user needs helps you focus on the what, not the how. Select among features, bugs, and chores to strike a healthy balance between building new features, staying ahead of technical debt, and keeping the bugs from piling up. Writing the story is just the beginning—now you get to rap about it. Estimate as a team to uncover the story's complexity. Choose among several point scales, then drag-and-drop to prioritize by iteration. 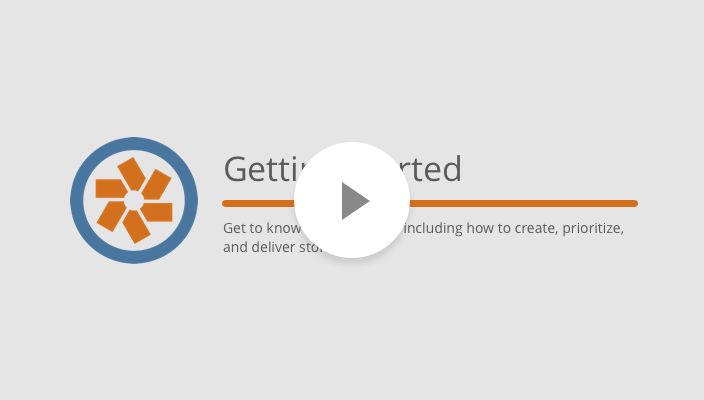 Start with a quick tour that covers the basics, as well as Tracker's fundamental units of work: stories. Get predictable and stay that way: Say goodbye to managing timelines and meeting unrealistic expectations, and let velocity do the planning. Tracker calculates your team's velocity based on the average number of story points completed in recent iterations, so your past work provides an honest view of your team's future. Tracker encourages a level of consistency that gets teams into a healthy rhythm. With a more sustainable pace, your team can deliver more features more often and keep the feedback loop spinning. Set up your perfect space: use multi-project workspaces to view your projects side-by-side and juggle various responsibilities on one screen. Use workspaces to arrange your projects side-by-side for an accessible view of your entire work life. 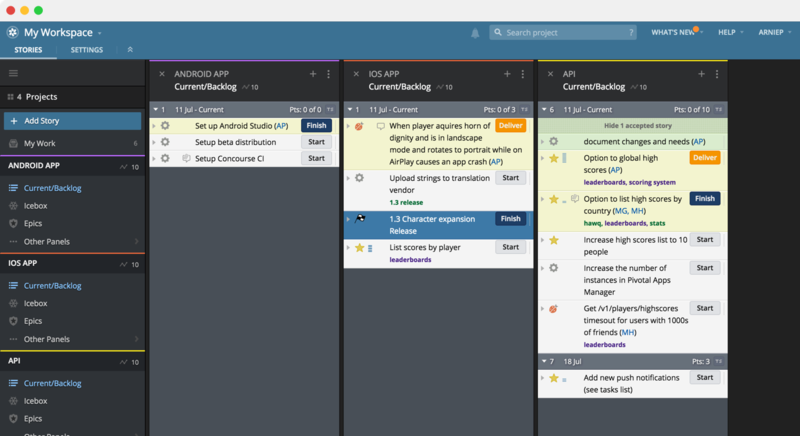 Move stories between projects with the ol' drag-and-drop, and search across backlogs to find exactly what you need. Keep all your work together—even when you work across multiple teams—with the My Work panel. A clear list of all the stories you own means you always know what to do next. Gauge how well your team is functioning: Analytics illustrate overall project health through both the broad trends and the nitty-gritty details. Click on any of the reports to drill down for a closer look at a project health by iterations, epics, releases, and more. Get the specific data your team needs to diagnose and eliminate bottlenecks at the cellular level. Go cross-functional: a litany of features—including story blockers, a powerful and easy-to-use API, and a new GitHub integration—provide everything you need to ship your best product. Don't miss a thing: configure notifications to get the updates and messages you need, when you want them, at your desk or on the move. User mentions are where it's @: bring people into story conversations with simple @mentions, and follow stories you're involved with or interested in. Find what you need: powerful search syntax supports nested Boolean expressions. Save common searches for later, or share them with the team. Enhance your stories: drag-and-drop mock-ups, presentations, and other files from your computer, or attach them from Google Drive. Make a big to-do (or a small one): keep your story duties in line with a simple checklist and revel in the joy of checking them off the list. Put a label on it: organize and monitor stories with searchable labels to make your workflow more visible and call out stories that deserve attention. Watch out for roadblocks: Story blockers help make project impediments highly visible so your team can collaborate to resolve them. Build the perfect beast: Tracker's functionality is exposed via the REST API, allowing you to create a variety of tools and integrations. Follow the breadcrumb trail: view everything that's happened in a project from day one to see how code changes are mapped to product decisions. Visit the Integrations Directory to discover more than 140 third-party apps built by our community that extend and enhance Tracker's functionality. Our new native GitHub integration automatically attaches GitHub branches, pull requests, and commits to stories and epics so you can see your code as it moves through the development process.